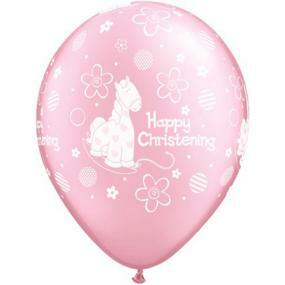 Pale pearly pink Christening balloons with a giraffe and flower print supplied in a pack of 6 balloons. 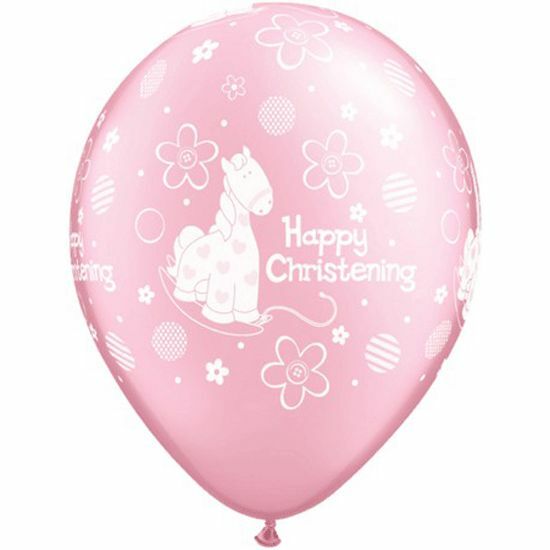 The balloons measure 11 inches diameter when correctly inflated and can be filled with helium or air. High quality - made by Qualatex.